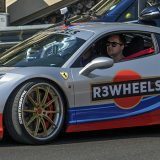 Here a stunning experience from the craziest supercars auto show of the world: the TOP MARQUES of MONACO. 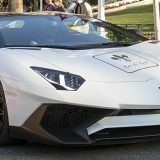 For those never heard about it, I’m talking of the Internation Festival of Luxury of Monte-Carlo, this year at it’s thirteenth edition, probably the best ever. 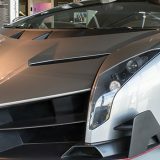 As every year, the event was held in the precious exhibition hall of GRIMALDI FORUM (LE ESPACE RAVEL) under the patronage of His Highness PRINCE ALBERT II, and showed more than 40 of most expensive and exclusive hypercars from each part of the world produced by manufactures like FERRARI, MASERATI, LAMBORGHINI, MCLAREN or ASTON MARTIN and the best tuned cars from HAMANN, MANSORY, DMC LUXURY, TECHART or GEMBALLA. Also exposed many previews as the MAZZANTI EVANTRA or the ICONA VULCANO TITANIUM and all the supercars from the last 007 – James Bond’s movie. This is only one of tens of videos recorded in the 2015 Editon, so be sure to watch them all from the specific playlist. In this video a stunning white Mazzanti Evantra V8 exposed at the show giving me the possibility to film it in each detail like rims, engine, interior, the logo. The Mazzanti Evantra is an hypercar produced by the italian manufacturer Mazzanti Automobili in Pontedera (Tuscan) to be the first high performance car of this brand. Unveiled for the first time at the 2013 Top Marques Monaco, it’s powered by a 7.0 litre aspirated V8 engine that develops 751 hp and 850 Nm of torque and it weights only 1300 kg. The performance are amazing, with over 360 Km/h of top speed and only 3,2 seconds to go from 0-100 Km/h. The design is made by Luca Mazzanti himself, and includes a body in carbon fiber and aluminium, hand-made interiors and 20-inch OZ racing wheels. In 2016 was presented a most powerful version named Mazzanti Evantra Millecavalli, a limited edition of 8 examples that was the most powerful road-legal italian car ever made. 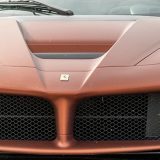 Indeed Mille Cavalli stands for 1000 hp in italian, enough for extreme performance with an announced max speed of of 390 Km/h. The production of the Mazzanti Evantra V8 is limited to 5 units per year, with a price of over 800.000 €. Complete walkaround and a review with each detail like interior, wheels, engine, logo and lights. Feel free to SUBSCRIBE my Youtube Channel and to follow me on all other social networks.